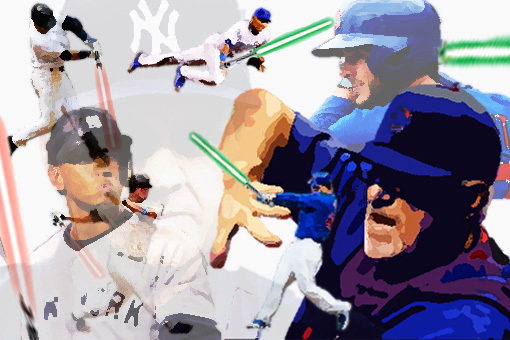 Home › Chart Of The Day › Will The 2016 Cubs Surpass the Evil Empire of the Past? Back in 2005, the Evil Empire, the New York Yankees, had a star-studded roster. On paper, the Yankees lineup seemed unstoppable, with eight former All-Stars in the starting nine, with the other ultimately being the Rookie of the Year that year (Robinson Cano). And the starting rotation included Randy Johnson, Mike Mussina and Kevin Brown. It seemed inevitable that the World Series trophy would once again find its home in the Bronx. However, it did not, as the Yankees couldn’t even get out of the first round of the playoffs, losing 3-2 to the Angels. Fast forward to the upcoming 2016 season, and the Chicago Cubs look every bit as unstoppable. After signing Lackey, Zobrist and now Heyward, the Cubs have a similarly dominate team on paper. But will they face the same problems the 2005 Yankees faced? Will there be too many stars and not enough accountability? It’s about personality not looks, right? 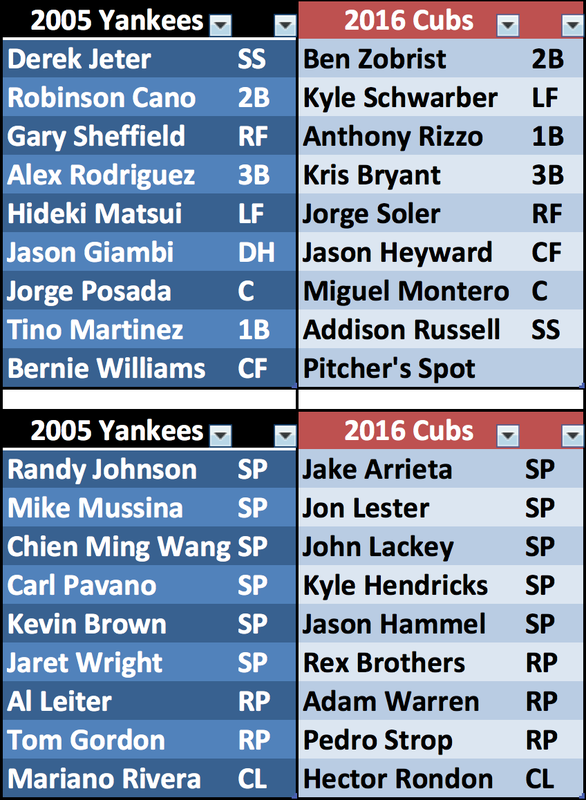 One of the first things the 2016 Cubs have in their favor in comparison to the 2005 Yankees is youth. The Yankees had far too many older stars who knew they were stars. The Cubs have stars who are still trying to prove their stardom, and Joe Maddon will use that to the team’s advantage. I think Joe Torre was one of the greatest managers of all time, but Joe Maddon might be even better. He has the ability to truly manage the personalities of his players, better than Torre ever could. The expectations to win in New York are always high, but they might be higher this year in Chicago. Will the youngsters in Wrigley be able to live up to them? The team chemistry in New York was the Yankees’ achilles heal. I remember a time when every player was slumping (which happens), but there was no sense of urgency or ownership to get better. Instead, it appeared that everyone was waiting for the other guy to step up and carry the team. The personalities were so volatile – any rotation with Randy Johnson and Kevin Brown is bound to have an internal blow-up. Hideki Matsui was a fan favorite, but was he ever really able to assimilate in the locker room around egos like Gary Sheffield and Alex Rodriguez? In Chicago, I can’t imagine that happening, especially under Obi-Wan Joe Maddon. 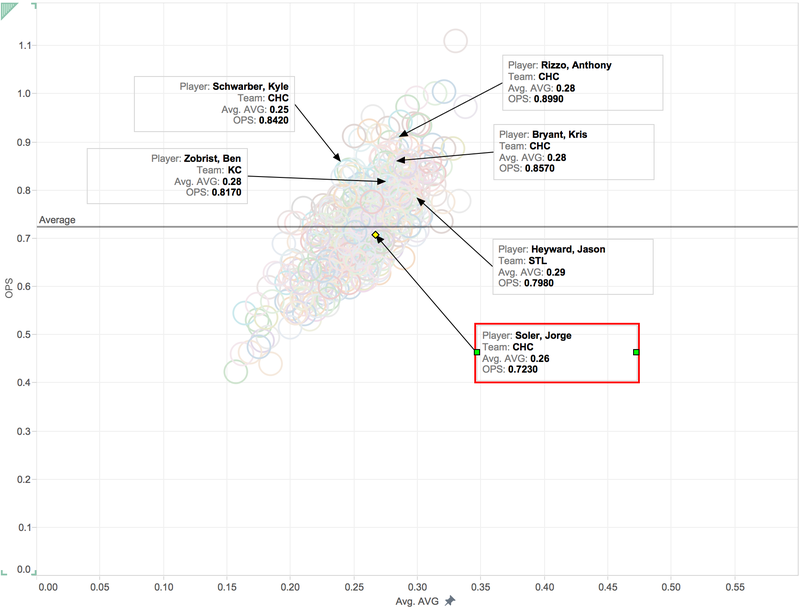 Kris Bryant, Addisn Russell, Jorge Soler, Javier Baez and Kyle Schwarber are all still young enough to feel a ‘need’ to prove themselves to the league, while Jason Heyward, Ben Zobrist, Anthony Rizzo and Miguel Montero can all be the stabilizing veteran presences in the clubhouse. Add into the mix Jon Lester and John Lackey, and you have some serious leadership on the North Side of Chi-Town. Ultimately, the 2005 Yankees won 96 games but lost in the ALDS. Will the Cubs reach 100 wins? Will they make it back to the NLCS, or possibly go even further? Only time will tell. Check out this chart. The Cubs now have 6 hitters in their starting lineup who had an OPS above league average last year, with Soler being right ‘on the line.’ (Stats courtesy of RotoWorld). ‹ Are the Boston Celtics Contenders?